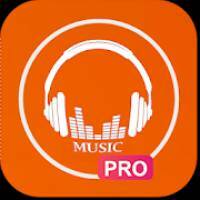 Best Music Player Pro – Mp3 Player Pro for Android is a Music & Audio android app made by Best MusicPlayer App that you can install on your android devices an enjoy ! 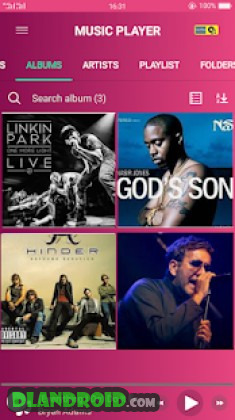 Free Music Player – Free Mp3 Music Player is one of the best music app for android. Music Player is not only help you listen to music, manage allmusic files quickly and easily but also supports almost all types of audio formats. With Free Music Player, you can listen to offline music songs without internet at any time and any place, this is fast music player, perfect audio player and media player support android devices, especially it’s completely free. Its the most useful music player should install in your device. Install one of the best music player for android and simple mp3 player for android now. ✔ Supports all most music file format – MP3, MP4, WAV, M4A, FLAC, 3GP, OGC, APE, MOD, SPX, OPU, ect. Just click the “rescan music” menu item from the Menu bar to rescan my music from your device. ✔ Powerful music songs search – search quickly by tracks, artist, album etc. ✔ Support Track Smart Playlists – Recently played/Favorites/Top Played/History Fully playlist support & Build your own playlist on the go. ✔ Muzik play queue with reorder – Easily add tracks to queue, favorites and playlist song. ✔ Folder music player support – song player by folder. ✔ Shuffle music support – shuffle all your tracks file, audio & music files. ✔ More than 35+ languages support – Easy to change default language of Media Player. – Lock screen control, control mp 3 player & music player even when your screen is locked. – Support Video player with equalizer for Android devices.